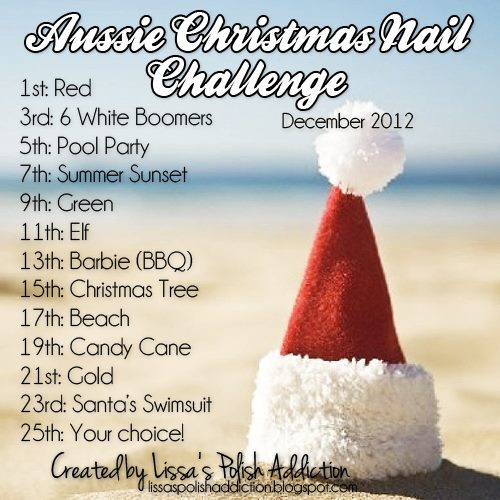 Today's theme for the Aussie Christmas Challenge is Green. YAY for green, I love green. 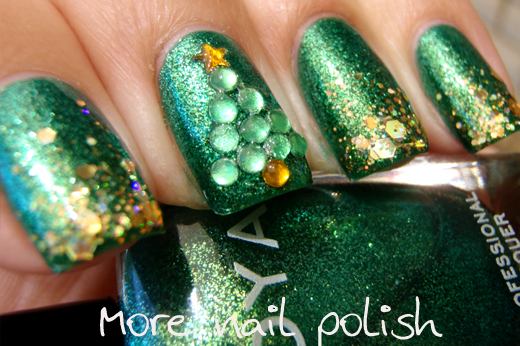 I was going to wear Kryptonite, but I wanted to wear something I've not shown here yet, so I grabbed Zoya Ivanka. Because I know Ivanka takes about four coats to get opaque, I just layered two coats of Ivanka over Kryptonite to give it a more solid base colour. I then added glitter tips using Lynnderella Golden Rules and I created the tree using round rhinestones and a star diamante. Ivanka is such a stunning polish, I have no idea why it took me two years to get it. Now I have Logan too, which is very similar - but I can never have enough greens! Love this. I have to get out my Ivanka - I have never used it for holiday and it's a great one. 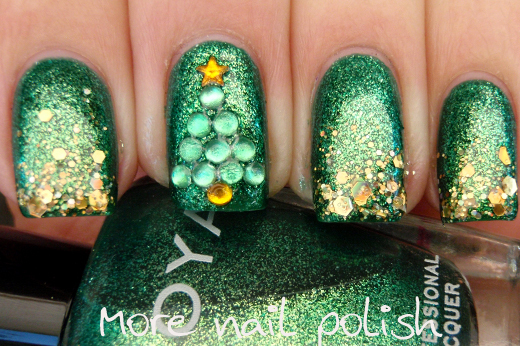 I get sort of stuck with a couple of sparkling China Glazes and now this yr Zoya Logan has been getting a huge work out. But the gold foil in Ivanka is so perfect! Very stunning! The tree is great. This is amazing! 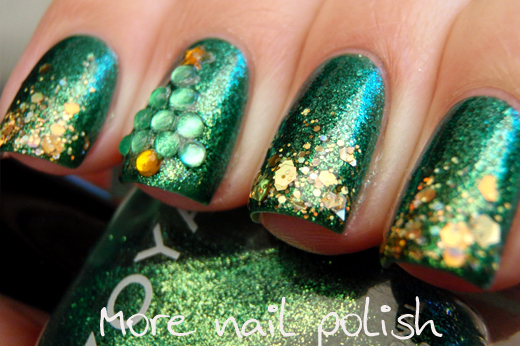 The perfect Christmas mani. ree with rhinestones is such a great idea! I'll keep it on mind;-) its soo cute!! omg this is so creative! great! I love this!!!! 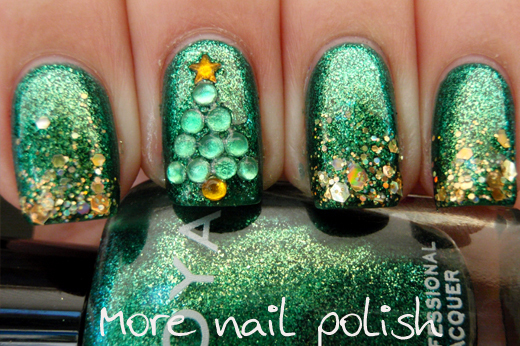 Do you mind if i borrow your christmas tree idea for my christmas mani? this is soooo beautiful! !